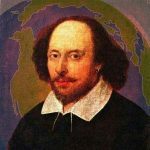 With respect to Cruz’s reworkings of Shakespeare’s text, even though the plotline remains largely faithful to its source, there were some major alterations. Cruz accords the Porter an extended role: he not only incorporates different characters but also functions as a chorus figure. 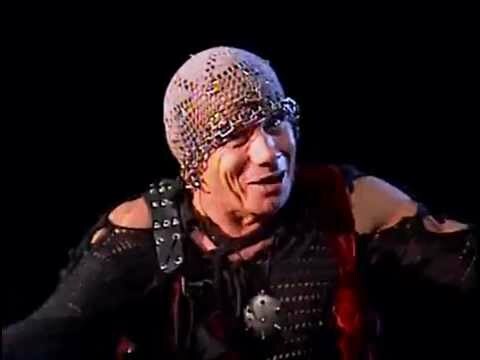 In yet another bold move which culturally locates the play in Brazil, the witches are substituted by three teenage native Brazilian boys who wear thongs and have tribal motifs painted in their bodies. A possible allusion to the passivity of the people that Fagundes mentions above, the witches/boys have no lines and only emit wild guttural sounds. Although not lavish, it is a careful production with ingenious ideas. 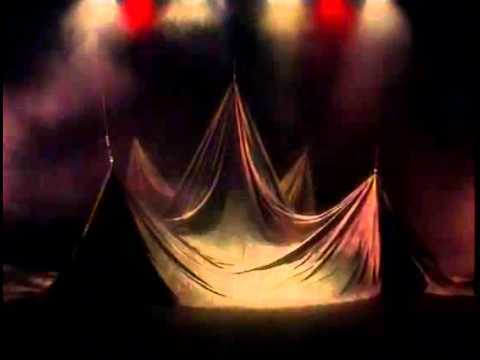 For instance, in many scenes the set consisted of a large beige cloth which was used for different purposes. In one of the monologues, Fagundes drags it along the stage and forms a map of Brazil. 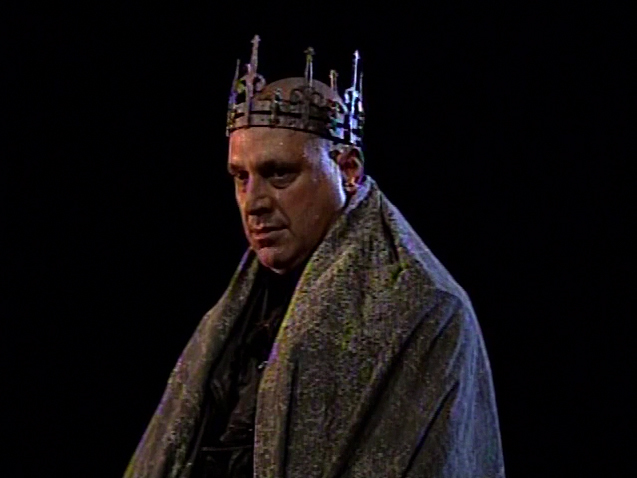 The same cloth serves as Macbeth’s crown or as a tent. 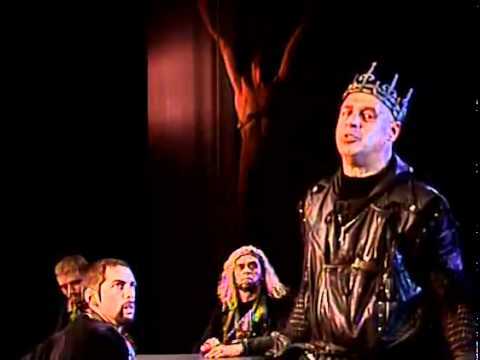 Click here to read a Brazilian dissertation (written in English) which analyses different productions of Macbeth, including Ulysses Cruz’s production in chapter 5. Click here to learn about Ulysses Cruz’s theatre company Globe-SP. It’s very odd to watch a movie in a different language and I hope that once I read Macbeth, I will be able to better grasp what’s happening in this scene. The clip is very real, unlike the others where it plays more like a movie than a play. Personally, I like to see the stage and hear the voices echo but the movements are beautiful and the costumes make it much more interesting!